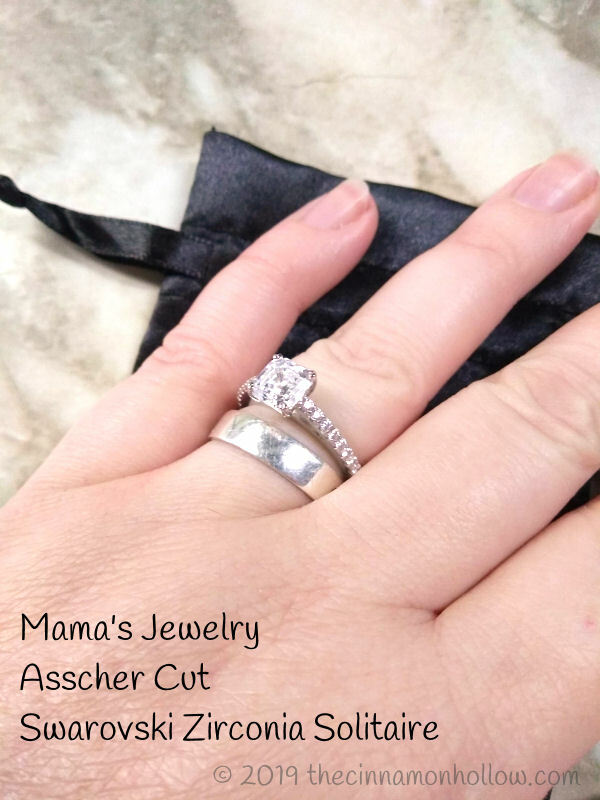 Mama's Jewelry Review by Crystal Martin | Give Her This Gorgeous Asscher Cut Swarovski Zirconia Solitaire For Valentine's Day! I, honestly, don't know if I've ever received jewelry for Valentine's Day! I don't think I have. And that's ok. But, I do love me some jewelry. But I love affordable jewelry even more! I've never been one to ogle expensive jewelry. I can't justify spending a fortune on a piece of jewelry. For starters, I lose things. If I were to lose a big expensive diamond ring, I'd never forgive myself! So, I choose jewelry that is in our budget, looks beautiful and I don't have to feel guilty over the purchase. 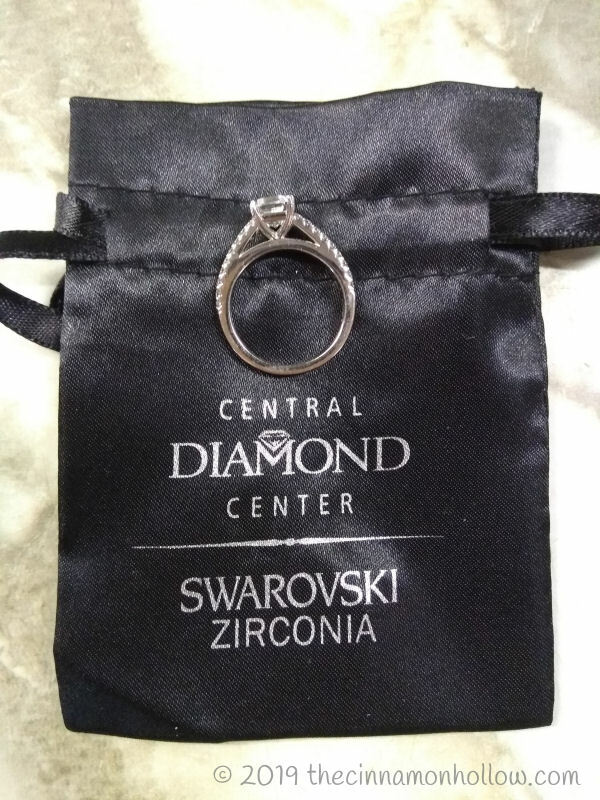 One of my new favorite sites to purchase jewelry is Mama's Jewelry by Central Diamond Center. And my favorite, current ring, is the Asscher Cut Swarovski Zirconia Solitaire. I received a complimentary item as a thank you for sharing. All opinions are my own and were formed through personal use of the item. 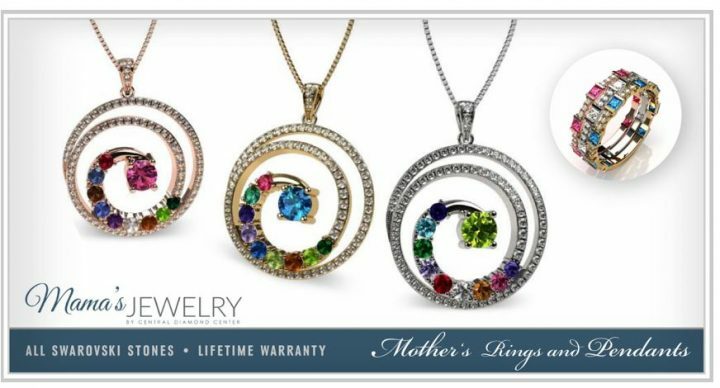 Mama's Jewelry features a large variety of rings, pendants, earrings and bracelets. I've never had an engagement ring with a stone. My original engagement ring was a band with engraved hearts. I adore it! But, because it was a band, I've never been able to wear it with my wedding band. It was just too wide together. I've also been wanting an anniversary ring. We've been married 22 years so Clay and I decided it was time to get me a ring that would serve as both and could be worn with my wedding band! I browsed all the rings on the Mama's Jewelry site. 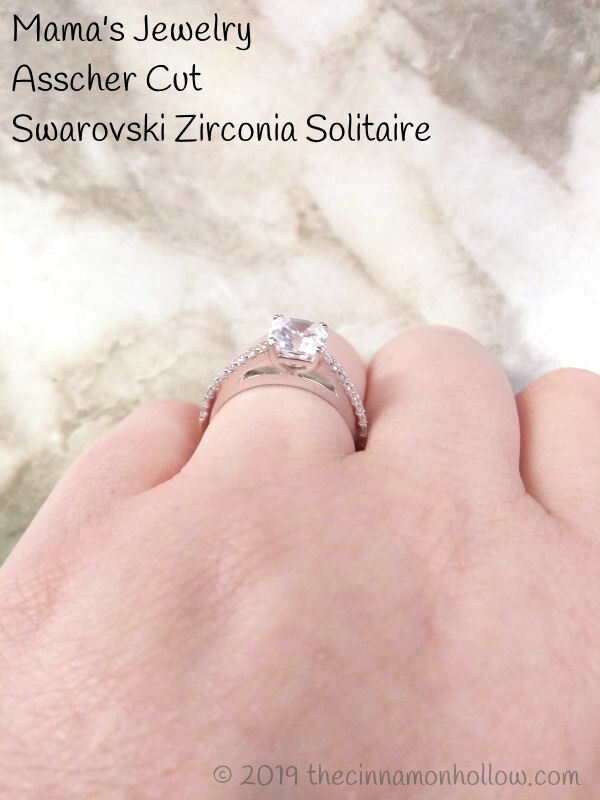 For most rings, including the Asscher Cut Swarovski Zirconia Solitaire, you can choose between platinum, yellow or rose gold plated silver or you can choose 10k or 14 k yellow gold, white gold or rose gold. Because I wasn't sure, yet, about the quality of the jewelry or if it would fit well with my silver wedding band, I chose a simple platinum plated silver metal for the band. My ring arrived the same week I ordered it! It is beautiful! I was afraid the stone would stick up too high on my finger but it is really a great height. The stones on the sides of the band give it the anniversary ring feel I was going for while the main stone makes a gorgeous engagement ring. I've been wearing the ring daily and the plating has help up through hand washing and every day wear and tear using my hands around the house. The stones have kept their clarity and stayed in place. The ring is very comfortable and true to size. I've lost weight and my wedding band is a bit loose so I went down one size and the ring fits perfectly! If you're looking for an affordable engagement ring or Valentine's gift, I recommend Mama's Jewelry.